Windmill Ranch Estates: Located in Weston's prestigious Windmill Ranch Estates, this custom designed 7 bedroom, 6.5 bathroom home is perfect! With elegance at its finest, enter this estate into its inviting two story foyer and formal living room with coffered ceilings overlooking the pool, screened in lanai and lake beyond. Some of the many highlights this home has to offer include an updated kitchen and family room, separate upstairs master suite and totally remodeled pool and gazebo. With close to 7000 square feet of living space, experience the pinnacle of perfection! 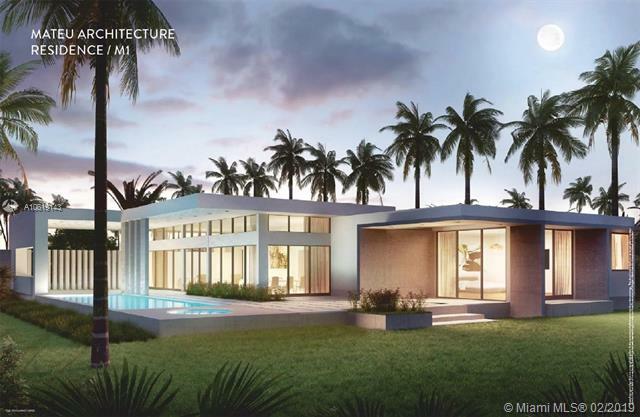 Botaniko: BOTANIKO WESTON WILL OFFER A SOPHISTICATED COLLECTION OF 125 ARCHITECTURALLY DISTINCTIVE HOMES DESIGNED BY ARCHITECTS CHAD OPPENHEIM AND RONEY J. MATEU, LANDSCAPE DESIGN WORKSHOP AND INTERIOR DESIGNER VENUS WILLIAMS. THIS TWO-STORY RESIDENCE O4 MODEL FEATURES 6 BEDROOMS, 9.5 BATHS, 6,187 SF OF INDOOR AREA AND 2,584 SF OF EXPANSIVE OUTDOOR AREA TOTALING 8,771 OF LIVING SPACE. LOT SIZE 16,890 SF. Botaniko: This stylish Chad Oppenheim designed home at Botaniko Weston was crafted with regal ingenuity. It has 6 bedrooms, 6.5 bathrooms, and 4,044 square feet of living area, gold Calacata tile, and an upstairs lined with oak hardwood. The kitchen boasts of Italian-made kitchen cabinetry by Italcraft, an integrated subzero 48”-wide refrigerator and freezer, and a Danby Wine Captain Cooler. It is equipped with an electric wall oven and gas cooktop by Wolf with five custom-built floor-to-ceiling closets with decorative drawer fronts,salt water pool, sourrounded by a glorious landscape,summer kitchen completes outdoor oasis. Fully furnished by Artefacto and filled with Tesoro material, this home is made for dreams. Windmill Ranches: +++PRICE ADJUSTMENT+++Estate styled home with numerous upgrades & millwork. Saturnia flooring throughout. 6 bedrooms with private bath & custom closet. Media room with bar area. Office/library plus wine cellar. Chef kitchen, deluxe upgrades. Oversized master suite w/attached exercise room or nursery. Outside features: basketball court, built-in bar & grill, panoramic lake views, heated pool & spa, large circular driveway, 3 car garages with floor to ceiling built-ins. 2 car Porte Cochere with covered parking & entrance. Hurricane impact windows, front mansion doors with Versace glass. 3 new A/C units, 3 attics, extensive landscape & lighting. Lutron lighting throughout. Magnificent home for entertaining and large family.